A number of the services that we regularly cover are in one way or another trying to get around a major, fundamental issue with Bitcoin, which is that, for all of its convenience and security once you actually have some, buying Bitcoin with fiat money is a colossal pain in the neck. Due to the chargeback problem, most institutions that sell Bitcoin will only sell Bitcoin for chargeback-free types of money transfer, like Western Union or wire transfers (which, while they do make you feel vaguely like a Bond villain, aren’t particularly convenient). The need for an easier way to buy Bitcoin is one of the driving forces behind the explosion of Bitcoin ATMs, many of which allow you to buy Bitcoin for cash – which, for all of its shortcomings, at least does not come with the risk of a chargeback. It would, of course, be nice if you could buy Bitcoins with a credit card or PayPal, but that is, unfortunately, impossible. Or, at least, it was until a couple of days ago. Bitcoin Insanity, a cryptocurrency broker that launched earlier this month, distinguishes itself by letting customers buy Bitcoins with their Credit Cards or PayPal accounts – no lengthy wait, no wire transfers, no escrow – which, in itself, is pretty remarkable. The site says that it achieves this by processing transactions manually, and by aggressive use of fraud-detection techniques to cancel suspicious orders. 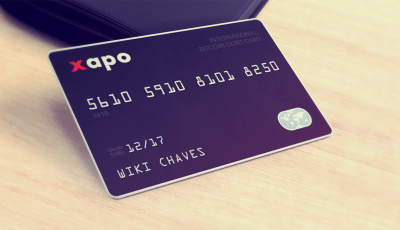 The result is a credit-card to Bitcoin service that may actually remain sustainable, despite the endless waves of unscrupulous folks trying to defraud it. There are, however, a couple of catches to the service. The first is that there are hard limits on extracting money. Bitcoins are sold only in $10, $15, $20, and $25 increments, and you can only purchase one per day per customer. Second, you pay a stiff premium for use of the service — that $25, after fees, will actually only get you a bit less than $20 worth of Bitcoin, at current market rates. A 20% fee, while not necessarily a dealbreaker, is nothing to sneeze at. The site hopes to ameliorate some of these limitations in the future, at least partially by offering VIP services to trusted users. As a consequence of this, Bitcoin Insanity is probably not a particularly good option for people who buy and sell Bitcoins regularly. For those people, it’s probably worth spending the time and the tedium to figure out wire transfers and buy Bitcoins in bulk to minimize fees. However, Bitcoin Insanity does seem like an excellent option for helping to introduce people to the Bitcoin world. Now, if you’re trying to explain Bitcoin to a friend, you can point them to a site where they can buy a small amount of Bitcoins easily, and then turn around and spend them online. If Bitcoin Insanity proves sustainable, it will drastically cut the barrier to entry for becoming involved in Bitcoin. Thanks for sharing your information, its really helpful to me. Last month I have buy bitcoin with credit card from Paybis, They will providing me easy and smooth transaction with secure payment. Thanks of sharing your information ,its really helpful to us. we also provide perfectmoney to bitcoin conversion.